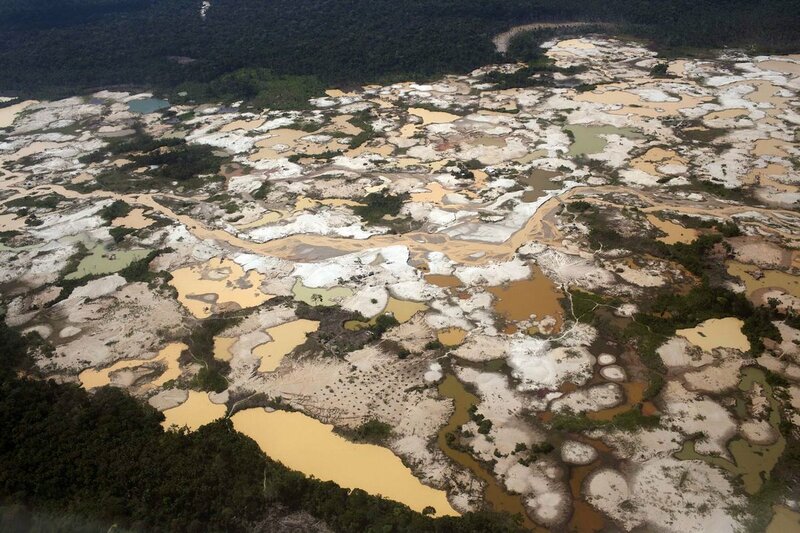 of gold extraction along the Amazonic rivers. 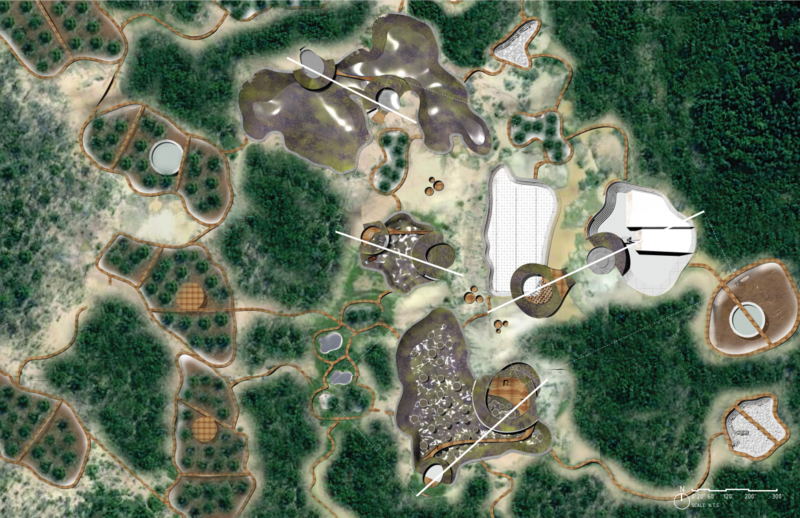 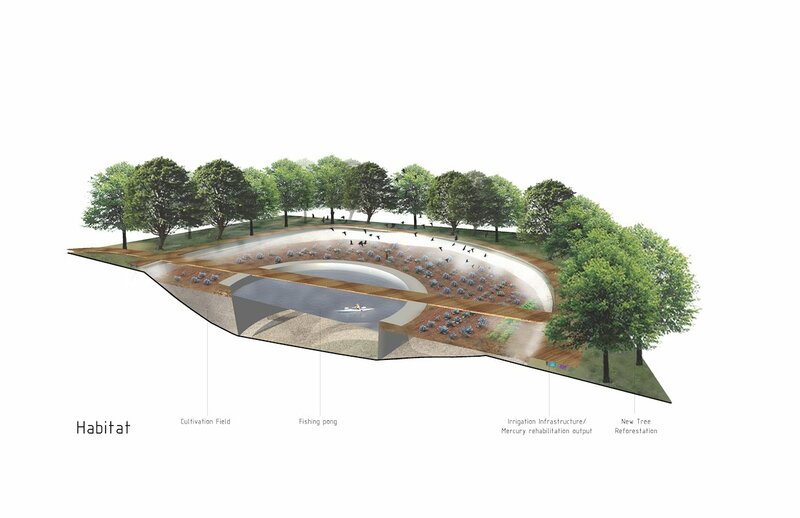 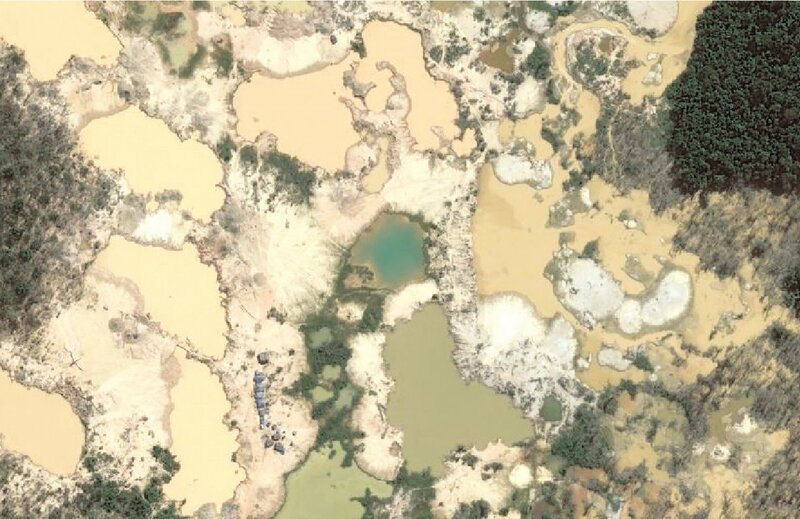 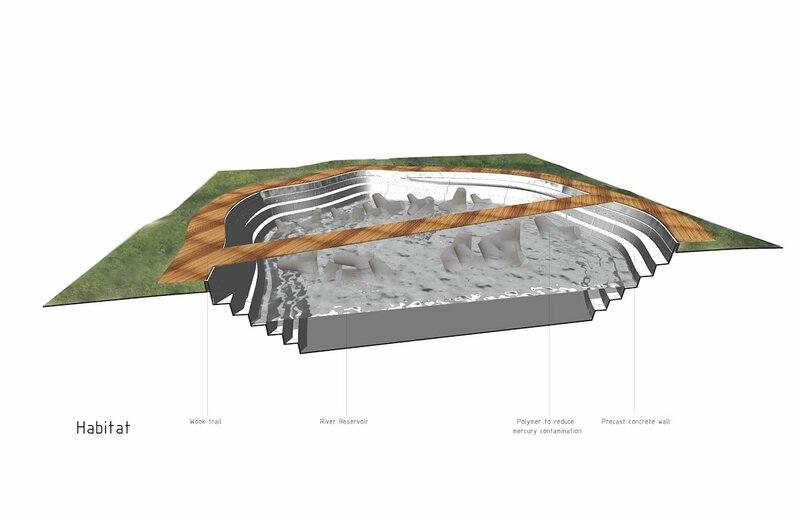 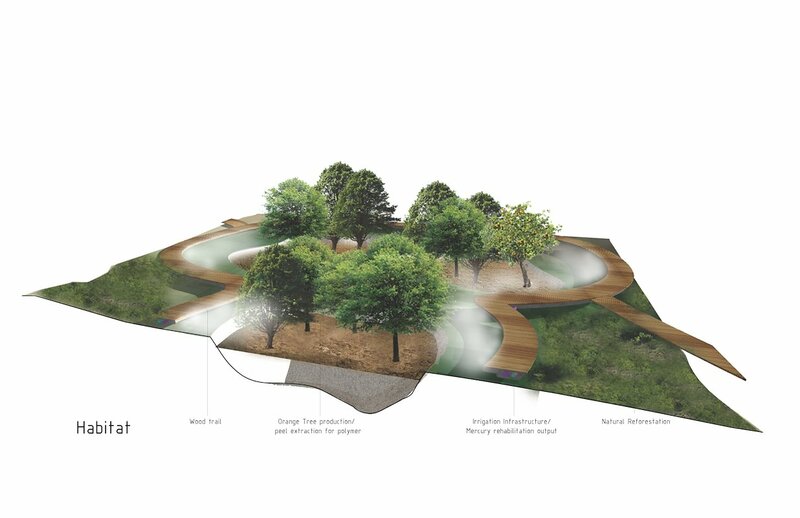 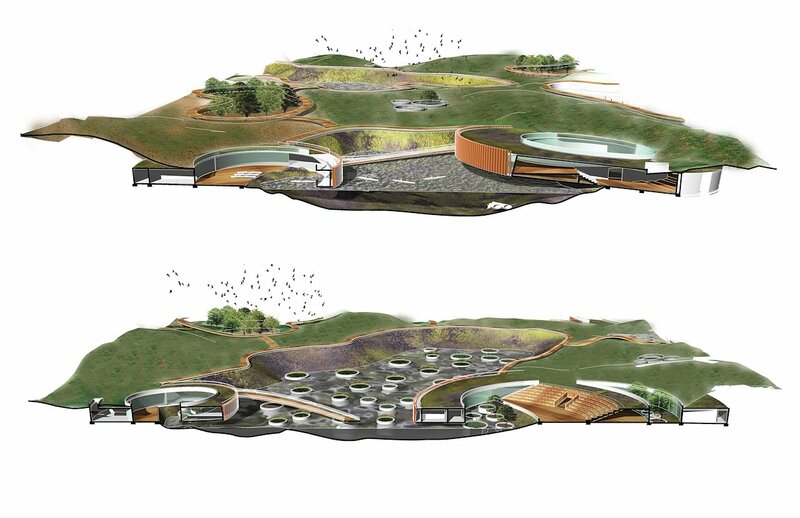 The Post Mining Habitats Project seeks to re-mediate the land and water from Mercury contamination to create a self sustainable network that serves as a platform for new Ecologies of natural and artificial habitats that will inhabit the existing topographic conditions caused by the act of gold mining. 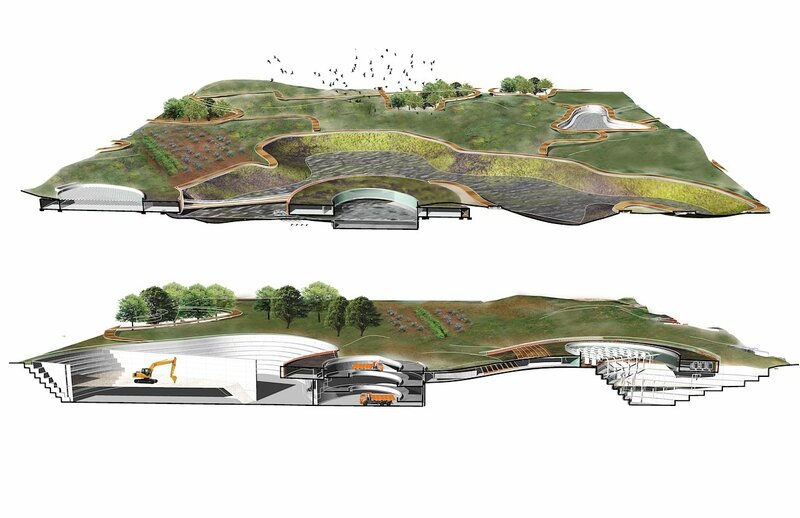 The investigation merges engineering methods to remediate the land with architecture. 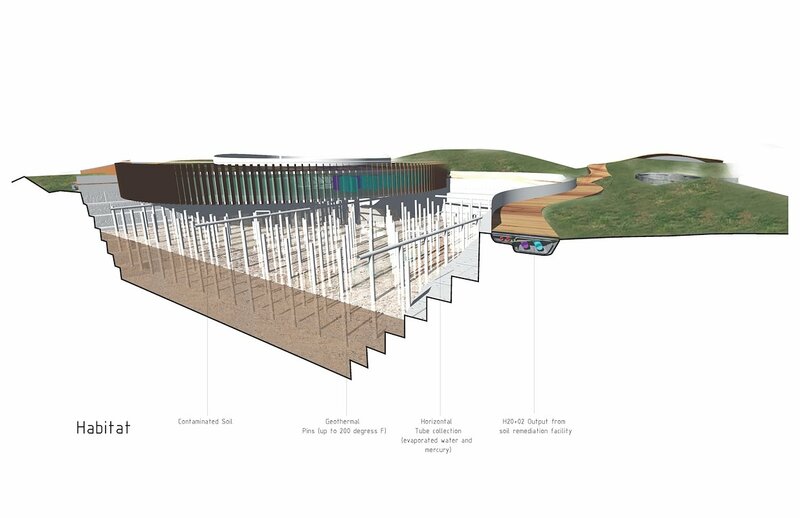 It questions the pre-established notion of abandonment between architecture and engineering and seeks to merge the two practices to reclaim the land.